Crab Apple Crisp | Live. Learn. Love. Eat. I hope that it is not too late in the season to post this recipe! 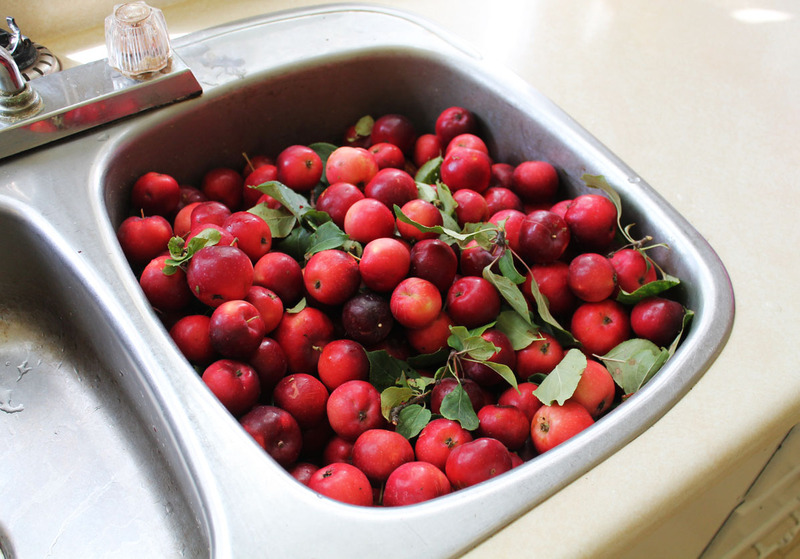 Two weeks ago I got a whole lot of crab apples from my brother-in-laws apple tree. And I do mean a lot of apples! Serafina loves to eat apples, so a lot of them just got eaten up by the girls and I. These little apples were just Serafina’s size! Still I had many to use up, so I decided that a great way to use the apples would be in an apple crisp. 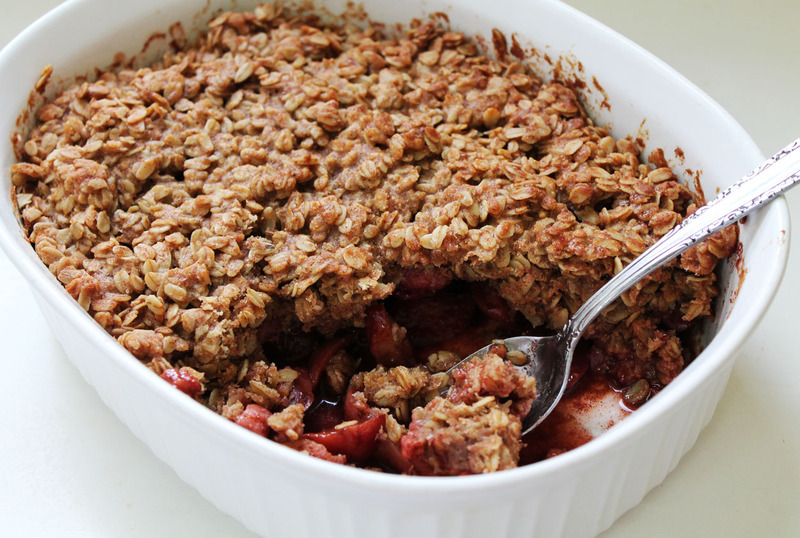 I love oats and cinnamon and so this is probably my all time favorite dessert (other than carrot cake or apple cake which also have a lot of cinnamon). If you do have crab apples from your tree, this is a lovely way to use them. 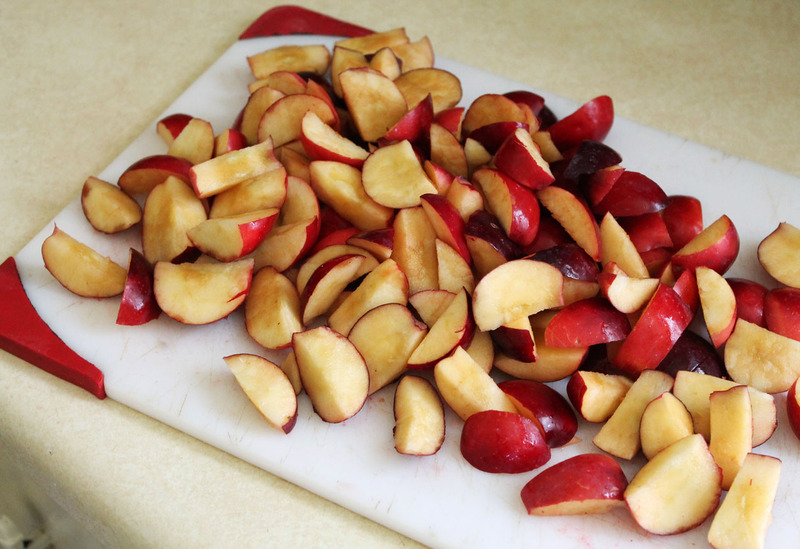 If you don’t have any fresh crab apples, I hope that you cut and froze some to use in a delicious recipe, because this is it! And if you have no crab apples at all this recipe works using 8 medium regular apples too, so there are no excuses not to make this recipe. 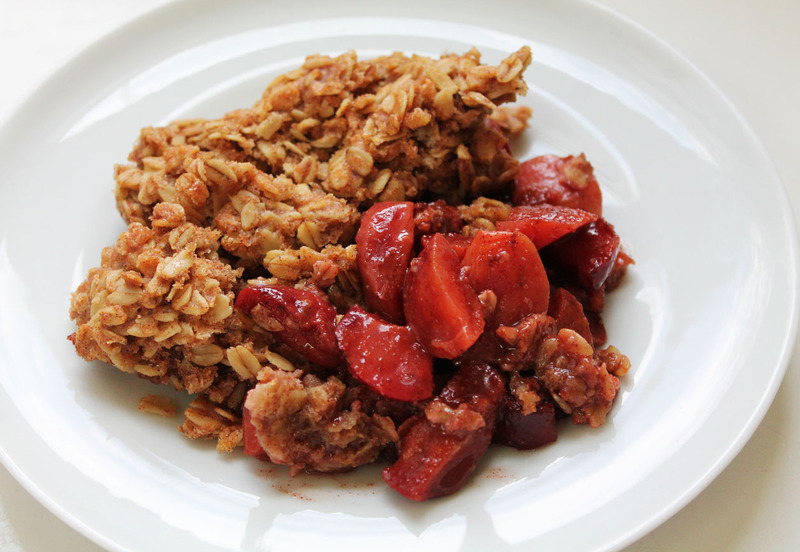 Here is a link to the apple crisp recipe using regular apples. A delicious fall dessert. 1. Preheat the oven to 350°F. Toss the sliced apples with the maple syrup, cinnamon and nutmeg in a medium mixing bowl then spread them evenly into a 2 1/2 quart baking dish. 2. In a medium mixing bowl, combine the oats, flour, and cinnamon. Add the maple syrup, sunflower oil, and vanilla and mix until combined. 3. 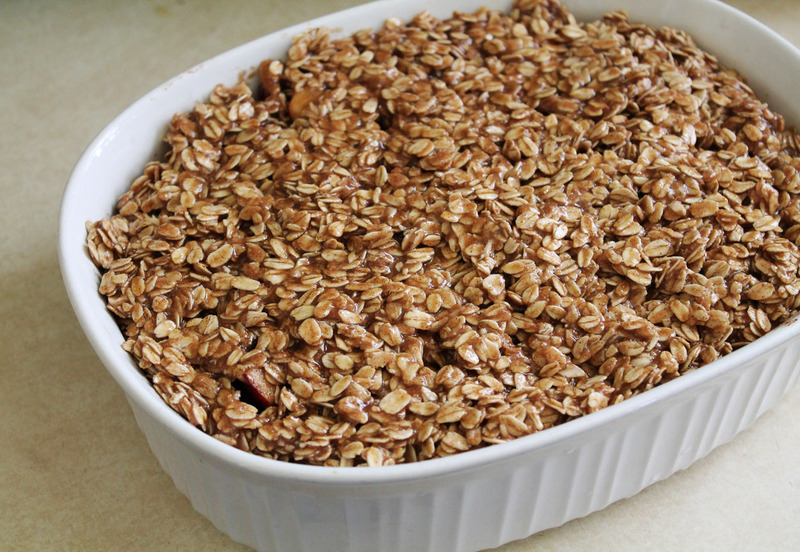 Spread the oat mixture evenly over top of the apple slices in the baking dish. 4. Cover and bake for 40 minutes. 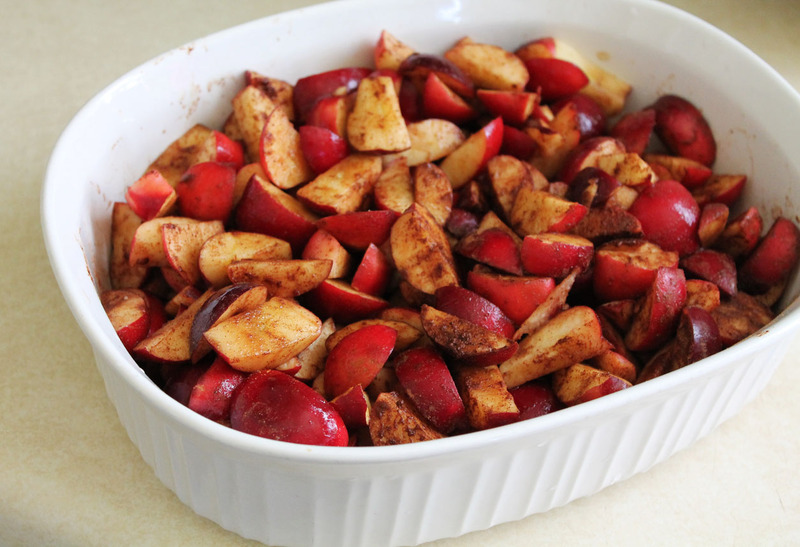 Remove from the oven, uncover, and bake 25-30 minutes more, until the apples have softened and the topping is crisp. Serve warm with Banana Ice Cream or your favorite dairy-free ice cream. I also made a second batch of Pumpkin Spice Blondies. This batch I left without the pumpkin seeds sprinkled on top and instead made up a Cinnamon Spice Frosting. Autumn loves frosting so I frosted them for the kiddos. 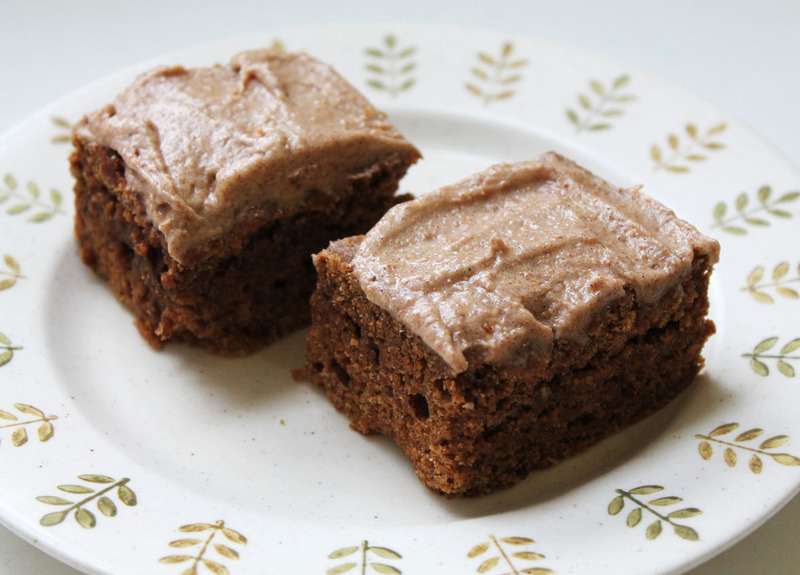 I posted the frosting recipe on the Pumpkin Spice Blondies Post. Here is a preview. The color of the apples! Amazing! would you cover with tin foil to bake? Yes, you could cover it for a while ad then uncover it near the end of baking time to brown the oats. Pingback: Change | Live. Learn. Love. Eat.